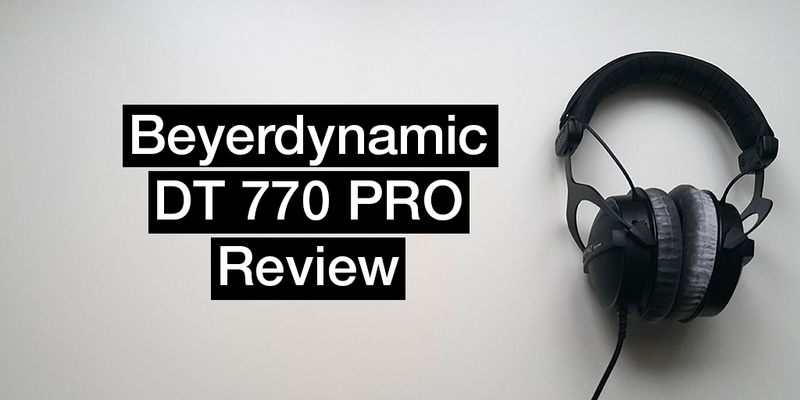 Beyerdynamic DT 770 PRO is often recommended as the entry level audiophile “closed” headphones by many enthusiasts. This a review of the Beyerdynamic DT 770 PRO 80 ohm headphones with a retail price of $145. You can learn about the competitors of the DT 770 PRO, as well as the 32 and 250 ohm versions as well. If you are where I was two months ago, you’ve looked at countless articles and videos on what headphones you can buy on a budget. You want better headphones. You want better music. You want a better gaming experience. I spent a full month researching various headphones to make the best possible decision I could make with the budget I had: $200. The Beyerdynamic DT 770 PRO came well under my budget at $145. Whether you have $10 earbuds or $20 headphones, you’re missing out on the “audiophile” experience. Don’t get me wrong, I’m not an audiophile… but the Beyerdynamic DT 770 certainly shed a new light in my life. So let’s get down to the reasons that convinced me to spend $145 on a pair of headphones.